The premier fraternal organization for men of good character, providing quality programs and services for its members, fostering self-improvement and serving mankind through the resources of its great philanthropy, the Shriners Hospitals for Children. Through the generosity of donors like you, we've been able to help more than 1.3 million children reach their potential and lead more fulfilling lives, regardless of the families' ability to pay. Make your gift today to help Shriners Hospitals for Children® provide life-changing care to our children who need your help. 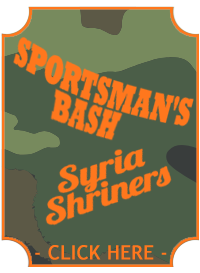 Follow Syria Shriners on Facebook!